Sixteen-time Grammy award-winning musician Sting will headline the Emirates Airline Dubai Jazz Festival® 2015 on February 26 in what promises to be one of the most eagerly anticipated gigs for UAE audiences next year. Sting will perform many of his greatest hits including 'Desert Rose', 'Englishman in New York' from his solo career as well as some of The Police's most popular classics 'Message In A Bottle' which helped the band to secure a place in The Rock And Roll Hall of Fame in 2003. "With more than 100 million album sales and 15 Hollywood movies under his performing arts belt, Sting is the real deal, a true star of iconic status and we are thrilled to secure him as the headline act for the festival's second day," said Anthony Younes, Co-Founder and CEO of Chillout Productions. "His ability to effortlessly and successfully compose and perform Jazz, Pop and Rock songs makes him the ideal artist to help us mark the evolution of Emirates Airline Dubai Jazz Festival® 2015 towards becoming an event that brings together a multi-genre fusion of international musical talent in order to perform in front of the world's most multicultural and cosmopolitan audience." The support act is 28-year-old American violinist Lindsey Stirling who is also a dancer, performance artist, and composer of a variety of music styles, from classical to pop and hip-hop to electronic dance music. She gained fame in 2010 as a quarter-finalist on America's Got Talent season five and has since released two studio albums, an EP, and several singles. Sting is the latest artist to grace the stage of Emirates Airline Dubai Jazz Festival® 2015 following memorable shows by Santana, Cool &The Gang, The Script, Jason Mraz, Deep Purple, Train, David Gary, Olly Murs and Jools Holland, just to name a few who have performed in previous years. Some 35.000 music fans will attend the main gigs during the three-day event to enjoy the signature atmosphere, happenings, food and beverage offering and of course, the Festival's main course; the internationally acclaimed artists' lineup comprising Platinum selling singer- songwriter James Blunt and award-winning musician Christina Perri who will be making her Middle East debut. The lineup also includes singer-songwriter John Legend who wrote and performed what is arguably 2014's most romantic song, All Of Me' and jazz bassist, cellist, singer and Grammy Award winner Esperanza Spalding both of whom will perform on the Festival's third and final day. 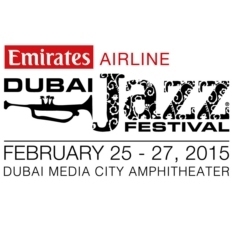 Tickets for Emirates Airline Dubai Jazz Festival® 2015 are exclusively available on www.ticketmaster.ae or by calling 800-TM-UAE. For full program and other information visit www.dubaijazzfest.com. Celebrating 25 years of rainforest protection, the 5th annual 12 Days of Christmas auction launched this week with 25 exclusive celebrity experiences and fashion pieces and 25 limited edition and one-of-a-kind works of art up for bidding. Auction lots include a day at Sting and Trudie's lake house in the UK, hand drawn and signed Christmas cards from Sting, Ian McKellen, Stephen Fry and more, as well as limited edition art and fashion pieces. 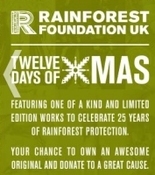 Every bid helps the Rainforest Foundation UK, so get bidding at www.ebay.co.uk/12days!